They ask for anyone with information about Tuesday night's robbery on Forest Avenue to contact police. 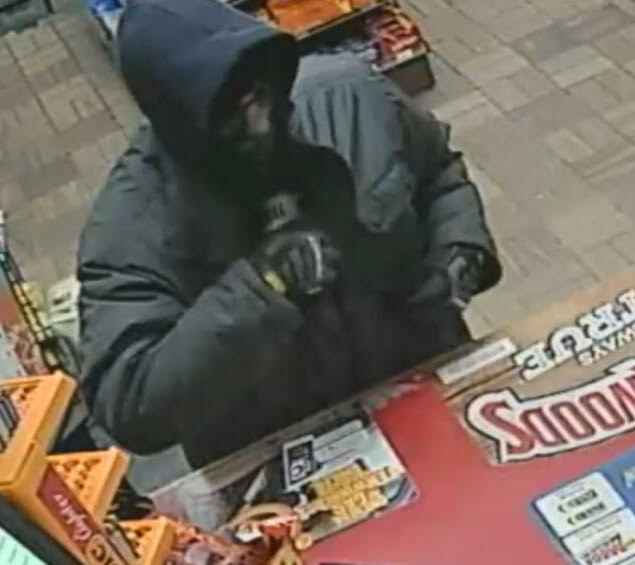 Portland police are looking for a man who robbed a gas station at gunpoint Tuesday evening. The Riverton Gas Station at 1585 Forest Ave. was robbed just after 7:30 p.m. by a man who displayed a silver-colored handgun and demanded cash, police said. No one was injured during the robbery. The robber left with an undisclosed amount of cash and was last seen running outbound on Forest Avenue. He is described as white and about 30 years old. He is about 5-feet-5-inches tall with a thin build. He was wearing a heavy dark jacket, dark cap, dark gloves and a half-face ski mask. The department released images from the store’s surveillance camera and is asking anyone with information to call the Portland Police Department at (207) 874-8575. To provide information anonymously, community members may contact police by text, internet or phone. Anonymous phone tips can be left on the Department’s Crime Tip line: 207-874-8584.